Renewed homophobic hysteria surrounding gender equality law in Armenia [recommended reading: The ‘Gender Equality Law’ Hysteria in Armenia - The Armenian Weekly] led to further displays of hateful posters on the streets of Yerevan (some previous examples - here), as well as direct threats to attack women's rights and other progressive groups. 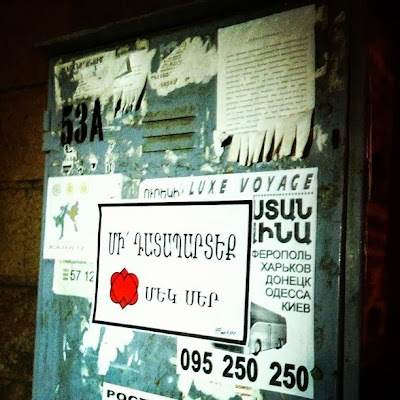 Activists in Yerevan have replaced the "Mek Azg"["One Nation"] & other neo-nazi, homophobic groups posters with ones that say "Mek Ser"["One Love"]. 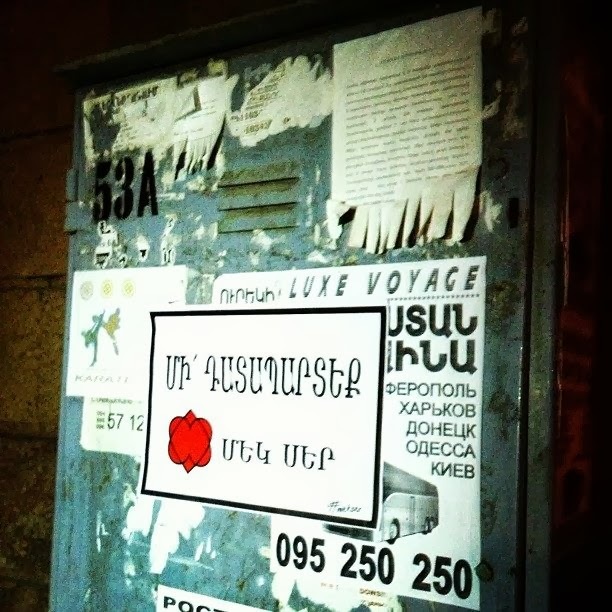 See also: More homophobic posters found in #Yerevan - "Thankfully, people are starting to respond with public art."